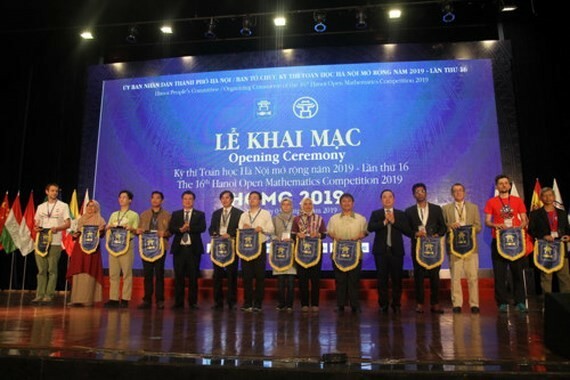 Out of 700 attendees, 119 International contestants of 14 groups took part in the Hanoi Open Mathematics Competition (HOMC) which was opened yesterday. 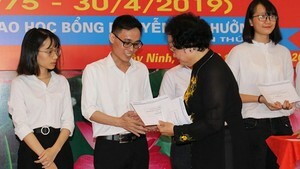 Deputy Education Minister Nguyen Huu Do said HOMC proved to be a good “playing yard” for Vietnamese and international mathematic talents. Last year competition saw the participation of foreign attendees; hence, the organizer have done its best to prepare the event this year. Contestants were divided into two groups; group A for foreign students including Indonesia, Malaysia, China, Nepal, Philippines, Hungary, Iran, Myanmar, Dutch, Spain, Taiwan ( China), Thailand, UAE, and some Vietnamese students and group B for Vietnamese students only. In addition to the competition, entrants took part in other interesting activities. After being marked with score, entries would be copied to send to each teams of international contestants in order to receive feedback from them. Winners will receive gold, silver and bronze medals while the rest will have certifications.